How Does Nutrition Affect Athletic Performance? Most people recognize that proper exercise, training, and other physical activity is critical to athletic performance. What most people don't seem to realize is that nutrition for sport performance is also critical to how an athlete performs. In this article, we will look at the importance of nutrition for athletes. So how does nutrition affect athletic performance? If you're not eating well, your performance will diminish even if you're exercising all the time because your body is simply not getting the fuel it needs to perform at its best. You need the right number of calories, fluids, carbohydrates, fats, protein, amino acids, and other substances to perform during your athletic performance. There are many factors that go into sports performance nutrition. You want to perform at the best of your ability in any athletic endeavor, so you need to eat well. Your diet may not be that different from a regular individual it will all depend on the athletic performance that you were taking part in. When you exercise hard for 90 minutes or more, at high intensity that takes a lot of endurance, you need a diet that can help you perform at your peak and recover quickly afterward. That's because nutrition does affect athletic performance! An athlete tends to need more carbohydrates than a regular sedentary individual because carbohydrates are fueled and you burn significantly more fuel when you are exercising. The body changes carbohydrates to glucose which is a form of sugar and converted in the muscles as glycogen. When you exercise this glycogen is then converted into energy. You will need carbohydrates especially if you are exercising for a long duration. Many athletes will load up on carbohydrates for 3 or 4 days before their event so they have enough of glycogen stores to get them through that event. On the day of the event, you should eat the last meal around three to four hours before the event so the stomach has time to empty itself. In the athletic diet, you should be getting around 70% of your calories from carbohydrates. This usually includes foods such as fruit, vegetables, pasta, bread, cereals, and other foods that are high in carbohydrates. If you're exercising for a long-duration you're going to be sweating a lot so you need to replace vital minerals. Small snacks such as sports drinks, sports bars, fruit or fruit juice can help replenish your body of vital minerals to help you get through a long workout. Once your exercise is finished you want to load up on carbohydrates as these will help repair your body from the impacts of rigorous exercise. Athletes need to increase their protein intake because this is what builds muscle mass and helps to maintain muscle mass. Protein can come from sources such as fish, nuts, seeds, poultry, lean meat, and certain vegetables. You need to take in adequate protein if you want to maintain peak performance as an athlete. An athlete that is strength training usually choirs about 1.7 grams of protein per kilogram of their body weight. The average person usually needs around 1.2 to 1.4. a 200-pound athlete would need around a hundred and fifty grams of protein per day. In general, you want to eat high-quality protein and not rely on protein supplementation if you can help it because too much protein can put a strain on your body. Most athletes will get the required fats they need through a balanced diet. If you're eating regular foods your fat intake will probably be normal. Foods such as salmon, olive oil, tuna, olives, and avocado will provide adequate proper fat for athletes. It is important as an athlete to consume adequate fluid. Most of this fluid should be water and you should not rely on sports drinks although these can help replenish electrolytes you after rigorous exercise. These drinks should not be your main source of fluids. Dehydration can drastically reduce your exercise performance you so you should always be rehydrating as much as possible. "Proper hydration will keep your body functioning at its best and help to increase athletic performance and even remove waste!" Many people understand the importance of nutrition for athletes but they often and neglect supplementation which can help athletes perform better during exercise. 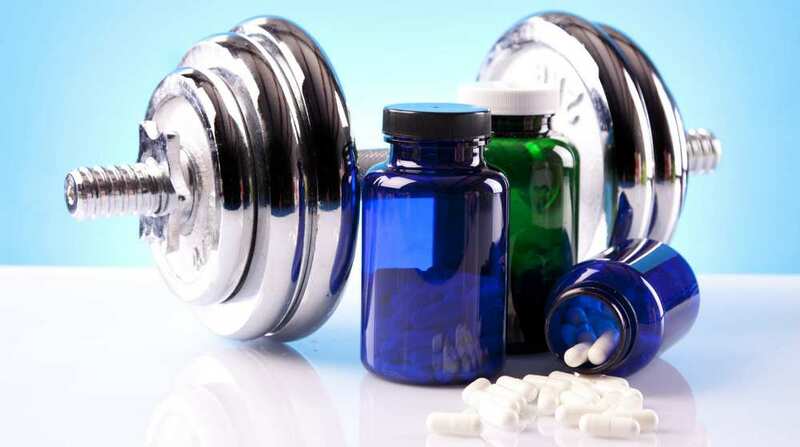 Athletes should be taking a multivitamin and other vitamins if they have deficiencies. It’s important to consult with a doctor and a nutritionist about your individual dietary needs as an athlete as there can be a lot of variables in play. Supplements can also help you get some of the nutrition you might be missing in your diet. Here is a rundown about essential vitamins and minerals as well as supplements. Summary: How Does Nutrition Affect Athletic Performance? Sport performance nutrition is a critical part of any athlete’s performance. The importance of nutrition for athletes cannot be overstated as it’s even more vital than regular exercise as the body needs the right fuel for an athlete to gain in their performance. If you’re asking "how does nutrition affect athletic performance? ", you should consult with a doctor as well as a sports nutrition specialist as your needs may vary from someone else. This article is a general guideline as to how you should be fuelling your body for exercise and how nutrition affects athletic performance. In general, you need a well-balanced diet which is rich in real-whole foods as this is what the body needs for day-to-day activity as well as exercise. Supplementation can help increase athletic performance but a balanced diet is also important!